NEW ORLEANS — The JCVB is pleased to announce Angela Matherne as Director of Sales and Casey Ronquille as Partnership Program Manager. Angela Matherne brings a wealth of experience to the JCVB with 25 years of hotel sales experience in the tourism and hospitality industry. Angela has previously held the position as Director of Sales at various hotel properties ranging from 250-800 rooms with meeting space of up to 60,000 square feet. In addition to her 12 years of experience working in the Jefferson and New Orleans market, Angela has worked in markets from Florida to Alaska. Angela’s in-depth knowledge and understanding of hotel sales will play a vital part in bringing new visitor business to Jefferson’s tourism and hospitality industry and host communities. Casey joined the JCVB in 2014 during which time she earned her Associates Degree in HRT while serving exceptionally in the roles of Membership Manager and most recently Group Sales Manager. Casey’s accrued knowledge and experience in both positions has led to her role as the JCVB Partnership Program Manager. With a focus on partner services and programs, she leads the charge in the enhancement of stakeholder relations and the development of destination initiatives and educational programs. The JCVB’s commitment to facilitate business opportunities to our industry members and community partners remains our member promise, and we look forward to continuing to provide the personal service and knowledge that you’ve come to expect. 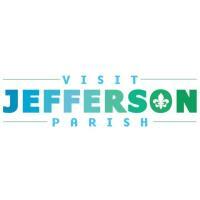 You may reach Angela Matherne at Angela@visitjeffersonparish.com and Casey Ronquille at Casey@visitjeffersonparish.com, or by phone at 504-731-7083.